Can I hide the "section 1" text? 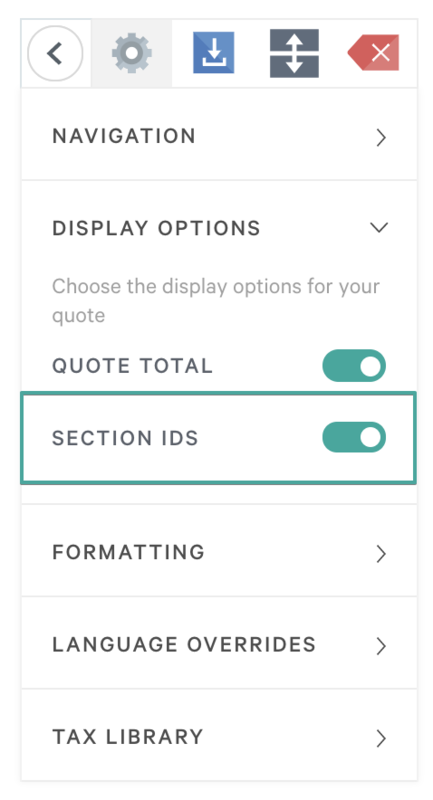 Within your quotes by default there will be section numbers for each section you add. You'll see something like "Section 1" or "Section 2". You'll be able to hide it by heading to your quote settings. Head to the Displays Options. From there toggle off the option for section IDs. Once you've toggled it off those section IDs will no longer show.